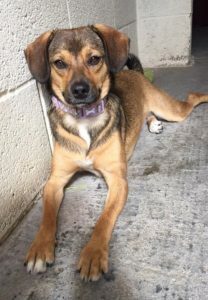 Kimmi is a gorgeous small sized Crossbreed (maybe Beagle x JRT type) who is around 1-2 years old. She is shy with new people at first but soon comes round and is very sweet, loving and affectionate. 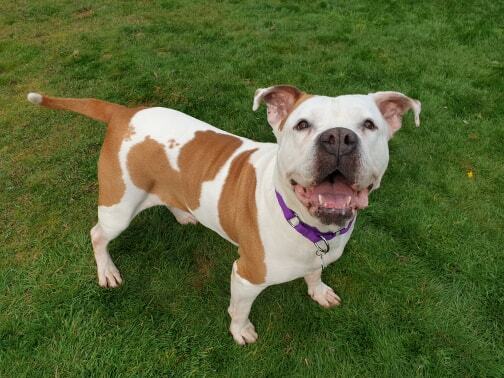 She will need a home who will work to build up her confidence – she will not walk on a lead at the moment, but with plenty of tasty treats and practice she will soon learn walkies are really fun!! Kimmi is fine with other dogs, but can get a bit jealous of sharing attention and needs feeding seperately to other dogs when being fed. 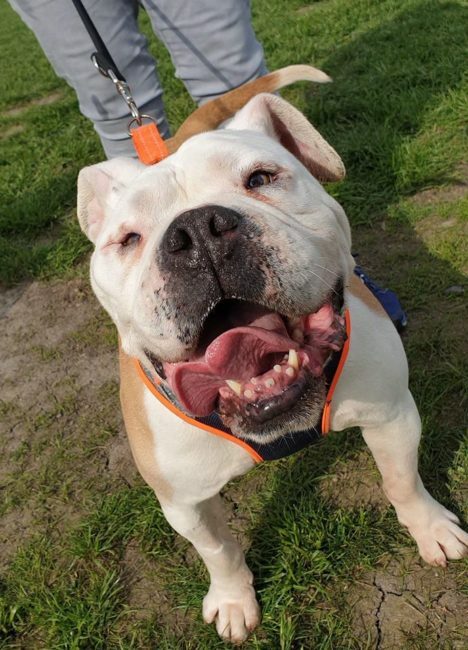 She is housetrained and can be left for a few hours, but does need to be left in a crate as she’s still a young dog and will chew if she gets bored! This little lady is an absolute sweetie and has tons of potential so with a bit of patience and training she will blossom into a fantastic girl.